Going that extra mile with your company’s customer service will set you apart from your competition. But, most importantly, it will also make you better than your competition. The simplest way to foster customer loyalty is to adopt an ethos of quality customer service. From word-of-mouth to loyalty rewards programs, it is amazing how quality customer service brings repeat business. Training your team to have superior service skills is the first pillar of loyalty success. In this course, we embrace that shift as we investigate the Quality Customer Service process, where the first step is to determine who your customers are. Customers respond positively to enthusiastic sales people who show passion for their products and eagerly share the benefits with them. A positive touch tends to be infectious, but it will be difficult to achieve if it does not have substance or does not relate to customer needs. In this course, we focus on the substantial product knowledge that is essential to accurately and persuasively present products and services. 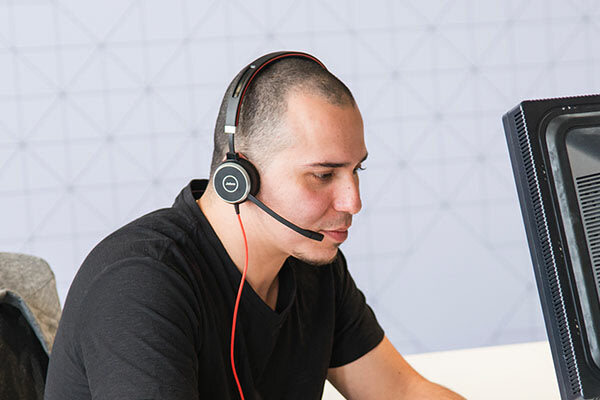 Customer service representatives may interact with customers face-to-face, over the telephone, or via any of the electronic communication options. They will have to deal with the public, which will include the challenge of handling difficult or irate customers. In this course, we investigate the technical and social skills that are crucial to effective customer service. This action is made for individuals and is designed to meet the needs of the customer. As an individual working for a company, you will perform this action on your own. By performing this action you will learn how to keep your customers informed of key information, progress and status updates. You will improve the level of communication between you and your customers. This action is made for managers and is designed to meet the needs of the customer. As a manager, you will perform this action on your own. By performing this action you will learn how to strengthen your understanding of your customers’ needs and what you can do to meet them. You will explore what your customers need and how you can best meet those needs. This action is made for individuals and is designed to meet the needs of the customer. As an individual working for a company, you will perform this action on your own. By performing this action you will learn how to positively handle queries or complaints from your customers. You will use a simple process when faced with an angry or upset customer. This action is made for individuals and is designed to meet the needs of the customer. As an individual working for a company, you will perform this action on your own. By performing this action you will learn how to understand the changing needs of your customers and work to anticipate and meet those needs. You will find out everything you can about your customers to clearly understand their needs and how you can best meet them. This action is made for individuals and is designed to meet the needs of the customer. As an individual working for a company, you will perform this action on your own. By performing this action you will learn how to balance the conflicting priorities of different customers. You will evaluate each conflicting customer request to determine how and when you will work to meet the needs. Understand which loyalty strategies work and how in your business.&nbsp;Relationships and loyalty play a big role. There is no question about the impact great customer service has on an organisation. How to build customer loyalty will give you the tools to make a connection and build a relationship with your customer base. Today we may be providing a service, tomorrow we may be a receiving one; it is the beauty of this that makes good customer service a truly human endeavour. This course will give you the tools to move away from transactional customer interactions towards creating advocates and lifetime loyalty. You'll understand which loyalty strategies work and how they could work in your business. The customer experience is a human experience. This means relationships and loyalty play a big role; the stakes are high if you don't start recognising your customer as more than just a single point of sale. Each lecture has been carefully selected so that you can explore relevant and meaningful strategies to create a truly customer centric workplace. Build a culture that values the importance of each customer interaction and empowers employees to provide the best service possible. This course is full of tips and tricks to use inside and out of your workplace. It will motivate you to really understand and support the environment you're trying to create. Learoy Tonight is a fresh business with interesting and modern ideas about education. Many people take part in creating these courses – from subject matter experts, to researchers and designers – to ensure you are provided with the best learning experience and the most up to date information. We're excited about education and want to give you the opportunity to be the best you can be. Each course will take you approximately 30 to 45 minutes to complete and will cover all of the components required to build customer loyalty. Our content will give you the opportunity to listen to experts and understand relevant models to use on your leadership journey when creating a truly human customer experience. Enjoy a collection of videos, interviews and engaging imagery used throughout our presentations. This course is a small section of Customer – At Your Service. If you would like to really challenge yourself, join us for the entire journey. What are you waiting for? Start tonight and be on your way to providing amazing customer service tomorrow. To inspire good customer service behaviour, we must be able to measure customer experiences meaningfully. There is no question about the impact great customer service has on an organisation. How to develop customer metrics will give you the tools to make a connection and build a relationship with your customer base. Today we may be providing a service, tomorrow we may be a receiving one; it is the beauty of this that makes good customer service a truly human endeavour. 'But I've told my people how important good customer service is, and they're still not providing it!' Have a look at how you're measuring your people. To inspire good customer service behaviour, we must be able to measure customer experiences meaningfully. This course will give you the tools needed to choose effective customer metrics, measure appropriately and integrate them into staff KPI's – to drive the behaviours you want. Each lecture has been carefully selected so that you can explore relevant and meaningful strategies to create a truly customer centric workplace. Build a culture that values the importance of each customer interaction and empowers employees to provide the best service possible. This course is full of tips and tricks to use inside and out of your workplace. It will motivate you to really understand and support the environment you're trying to create. Learoy Tonight is a fresh business with interesting and modern ideas about education. Many people take part in creating these courses – from subject matter experts, to researchers and designers – to ensure you are provided with the best learning experience and the most up to date information. We're excited about education and want to give you the opportunity to be the best you can be. Each course will take you approximately 30 to 45 minutes to complete and will cover all of the components required to develop good customer metrics. Our content will give you the opportunity to listen to experts and understand relevant models to use on your leadership journey when creating a truly human customer experience. Enjoy a collection of videos, interviews and engaging imagery used throughout our presentations. This course is a small section of Customer – At Your Service. If you would like to really challenge yourself, join us for the entire journey. What are you waiting for? Start tonight and be on your way to providing amazing customer service tomorrow. What are the critical points in the customer journey, and how can you make sure their experience is a positive one? There is no question about the impact great customer service has on an organisation. How to map out the customer journey will give you the tools to make a connection and build a relationship with your customer base. Today we may be providing a service, tomorrow we may be a receiving one; it is the beauty of this that makes good customer service a truly human endeavour. If you want to provide an amazing customer experience, you need to understand the journey of your customer. What are the critical points in their journey, and how can you make sure their experience at these points is a positive one? Mapping out the customer journey will give you insight into their experience. It also helps to establish key areas of focus and encourages a better sense of direction for your customer strategy. Each lecture has been carefully selected so that you can explore relevant and meaningful strategies to create a truly customer centric workplace. Build a culture that values the importance of each customer interaction and empowers employees to provide the best service possible. This course is full of tips and tricks to use inside and out of your workplace. It will motivate you to really understand and support the environment you're trying to create. Learoy Tonight is a fresh business with interesting and modern ideas about education. Many people take part in creating these courses – from subject matter experts, to researchers and designers – to ensure you are provided with the best learning experience and the most up to date information. We're excited about education and want to give you the opportunity to be the best you can be. Each course will take you approximately 30 to 45 minutes to complete and will cover all of the components required to map out your customer's journey. Our content will give you the opportunity to listen to experts and understand relevant models to use on your leadership journey when creating a truly human customer experience. Enjoy a collection of videos, interviews and engaging imagery used throughout our presentations. This course is a small section of Customer – At Your Service. If you would like to really challenge yourself, join us for the entire journey. What are you waiting for? Start tonight and be on your way to providing amazing customer service tomorrow.